Our combined tube forming machine with strip cutter helps to produce the tube from a metal/gold sheet. These tubes can be produced in different shapes according to the customers requirements. Owing to its reduced dimensions, the machine is ideal for a small jewelry workshop also. It is possible to produce, on request, tubes of several shapes (round, half round, oval etc.) due to easy changing of rollers and dies. Optional Accessories: The sheet cutting attachment is suitable for cutting strips at a desired size with out changing the blade assembly. These are equipped with an adjustable opposed shear unit and enable to obtain very accurate strips having both trimmed sides. The cutting adjustments are very accurate and blades are alloy steel. This machine also equipped with a strip guide as to obtain cutting linearity. Click on the picture to view bangles manufactured using the combined tube forming machines. Apart from the showcased deigns these designs can be customized as per the client requirements to manufacture and provide you with the latest designs. 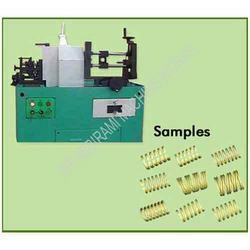 Our tube forming machines can be availed with strip cutter and straight drawing attachment. 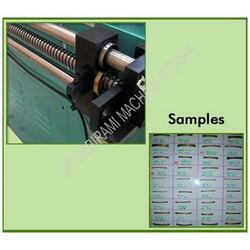 These attachments can be according to the customer requirements. Click on the picture to view bangles manufactured using the combined tube forming machines with strip cutter and straight drawing attachment. Apart from the showcased design, our machine is also capable of manufacturing various other designs according to customer requirements. Looking for Tube Forming Machines ?